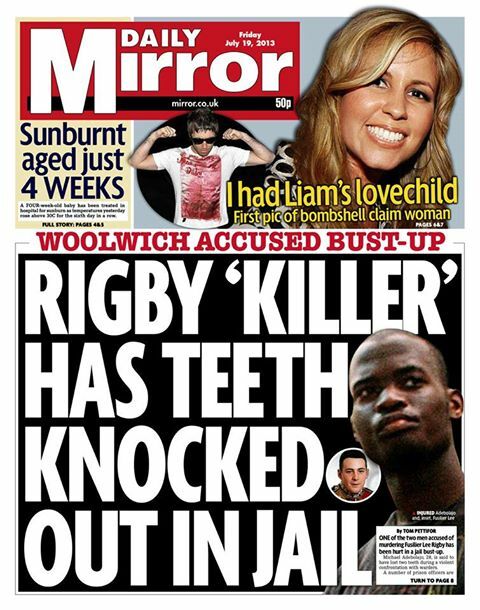 One of the terror suspects accused of murdering Drummer Lee Rigby has reportedly had two teeth knocked out in prison. Michael Adebolajo was reportedly set upon at HMP Belmarsh on Wednesday. The Ministry of Justice confirmed an investigation was being carried out but refused to comment further – including on reports that he had been ‘targeted’ by prison officers. ‘It would be inappropriate to comment while the investigation was ongoing,’ a spokesman said. Adebolajo, of Romford, Essex, is accused with Michael Adebowale, 22, of hacking Drummer Rigby to death near Woolwich Barracks, south-east London, on May 22. The 28-year-old, who was shot by armed officers at the scene of Drummer Rigby’s death, is further charged with the attempted murder of two police officers. He is in Belmarsh, south-east London, awaiting a November murder trial at the Old Bailey. Drummer Rigby’s death led to an outpouring of public anger, with tight security surrounding previous court appearances by the two defendants. It emerged Wednesday that a man had been arrested on suspicion of writing ‘Lee Rigby’s killers should hang’ on the RAF Bomber Command War Memorial in central London. A 20-year-old was held at his home in Manchester on Tuesday on suspicion of an act of criminal damage at the memorial in Green Park on June 5, Scotland Yard said. The memorial to the thousands of RAF crew who lost their lives in World War II was vandalised twice in just over a week following Mr Rigby’s death. 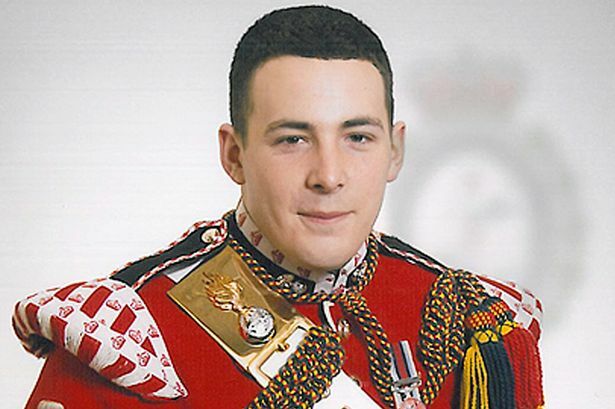 On the afternoon of 22 May 2013, a British Army soldier, Drummer (Private) Lee Rigby of the Royal Regiment of Fusiliers, was attacked and killed by two men near the Royal Artillery Barracks in Woolwich, southeast London, in what has been described as an Islamic terrorist attack. Rigby was off duty and walking along Wellington Street when he was attacked. Two men ran him down with a car, then used knives and a cleaver to stab and hack him to death. The men dragged Rigby’s body into the road. The men remained at the scene until police arrived. 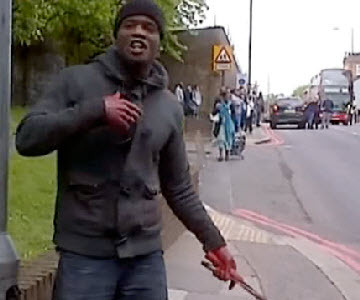 They told passers-by that they had killed a soldier to avenge the killing of Muslims by the British military Unarmed police arrived at the scene nine minutes after an emergency call was received and set up a cordon. Armed police officers arrived five minutes later. The assailants, armed with a gun and cleaver, charged at the police, who fired shots that wounded them both. They were apprehended and taken to separate hospitals Both are British of Nigerian descent who were raised as Christians and converted to Islam.